Crazy for First Grade: Bartholomew and the Oobleck! This is one of my FAVORITE Dr. Seuss books to read to my first graders. It's about a young boy named Bartholomew who must rescue his kingdom from a sticky substance called Oobleck! After reading the story with my kiddos, we make Oobleck. Here is the easy recipe- 2 cups of cornstarch, 3 drops of green food coloring, and enough water to make the mixture thick like the texture of pancake batter. I usually mix equal amounts of water and cornstarch, but make sure you mix it in slowly. Once the Oobleck is made, I give each child their own sandwich bag full of Oobleck and let them explore it, which is oh so much fun. Every year, Oobleck is a BIG HIT! Knowing that Dr. Seuss would want us to have fun on his birthday, it's the perfect activity!!! If you make an Oobleck ball and throw it in the air, it will lose it's shape and become flat in the air. Oobleck can be molded in a container, but it loses it's shape as soon as you take it out. If you fill a balloon with Oobleck, the air forces the Oobleck back out. When you leave Oobleck outside in the sun, the color evaporates, it turns hard like cement on top and is like jelly on the bottom. 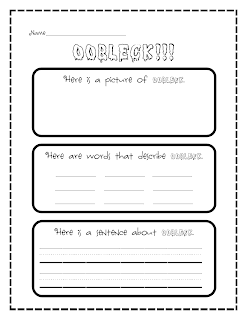 I also made a graohic organizer for my sweeties to illustrate, write describing words, and a sentence about Oobleck. Click on the picture below if you would like to download it. 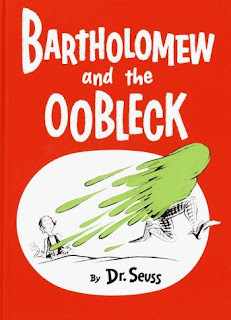 I'm SO excited about reading Bartholomew and the Oobleck on Tuesday! This weekend had been quite busy with a wild toddler, lesson plans, and a bunch of grad school work, which means that my Spring/Easter center packet was put on the backburner for a bit...can you relate? 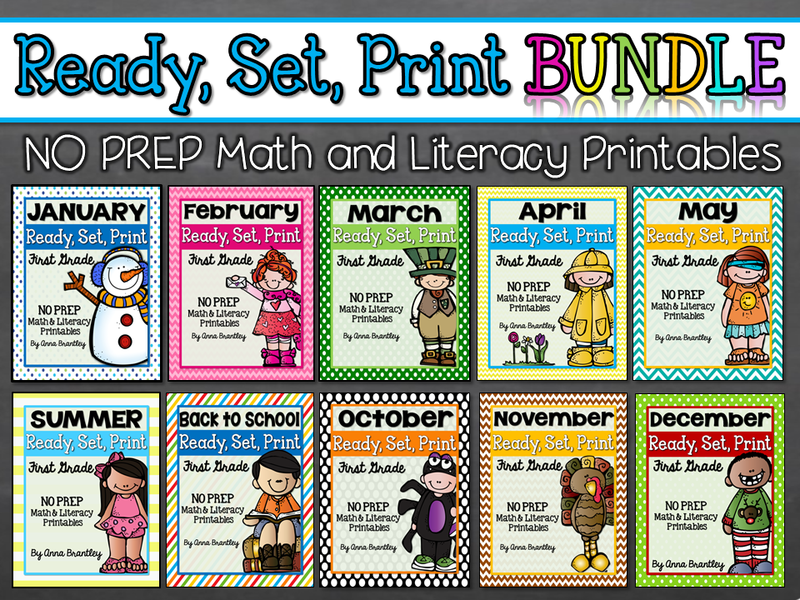 I will get it posted later this week:) If you need centers for St. Patrick's Day, you can go grab my St. Patrick's Day Math and Literacy center packet on TpT HERE for only $5.00 right now! I hope you all have a fabulous week! 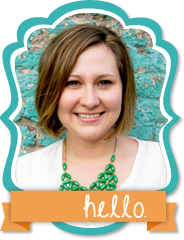 Thanks for following my blog and supporting what I do! 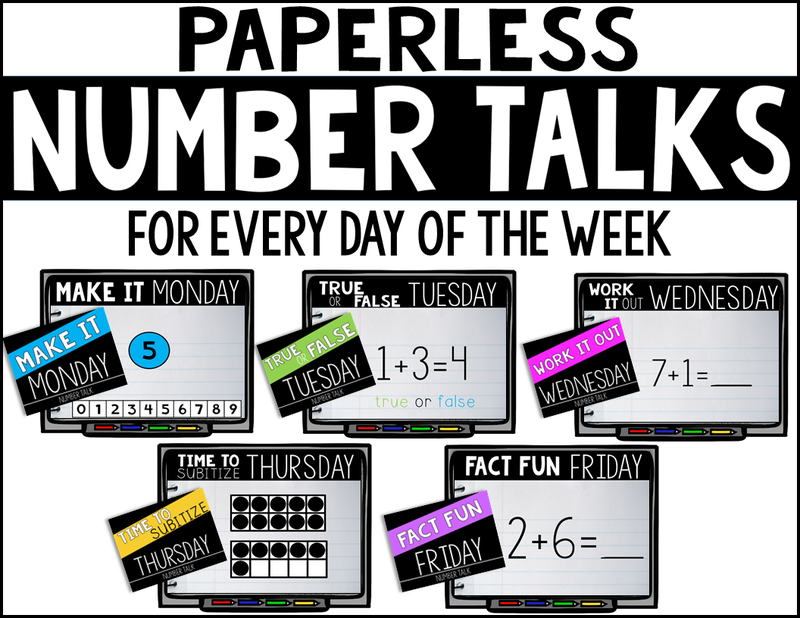 Please feel free to share it with any of your teacher friends! Love this oobleck writing activity. Thank you! Love the graphic organizer. I made this last week with my ELD class. Wish I would have had this. Do you mind if I link your idea to my blog this week? Thanks so much, ladies! 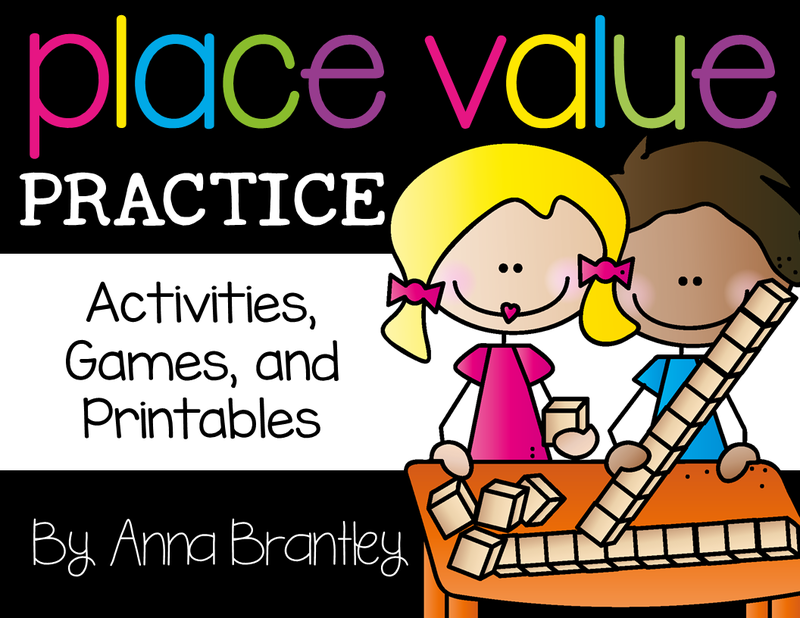 I would love for you to link this activity to your blogs:) Share, share, share! I'm planning on making Oobleck with two 1st grade classes later this week. The graphic organizer is perfect. Thank you. Great graphic organizer. I love it and plan on using it this week. THANK YOU SO MUCH!! 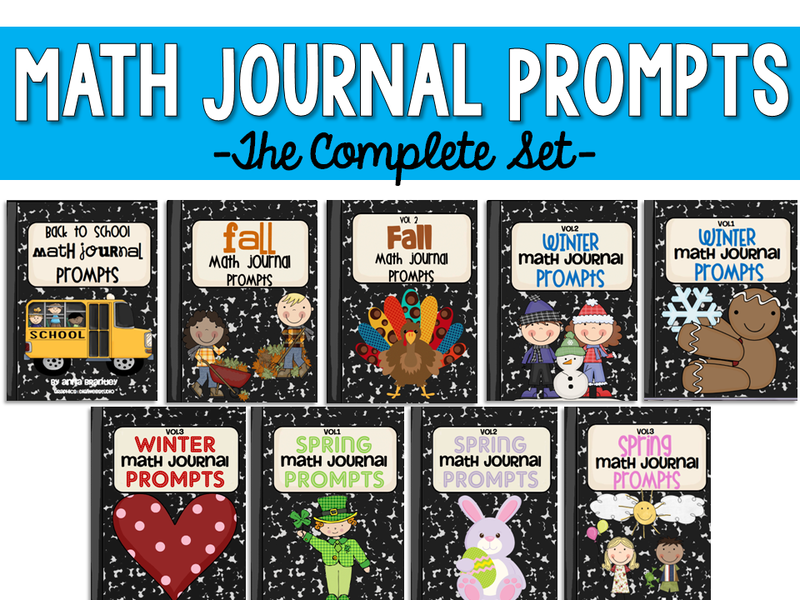 I am an upper elementary teacher (3-5) & recently was hired to teach science to grades 1-5. I was terrified of teaching gr 1 and 2. 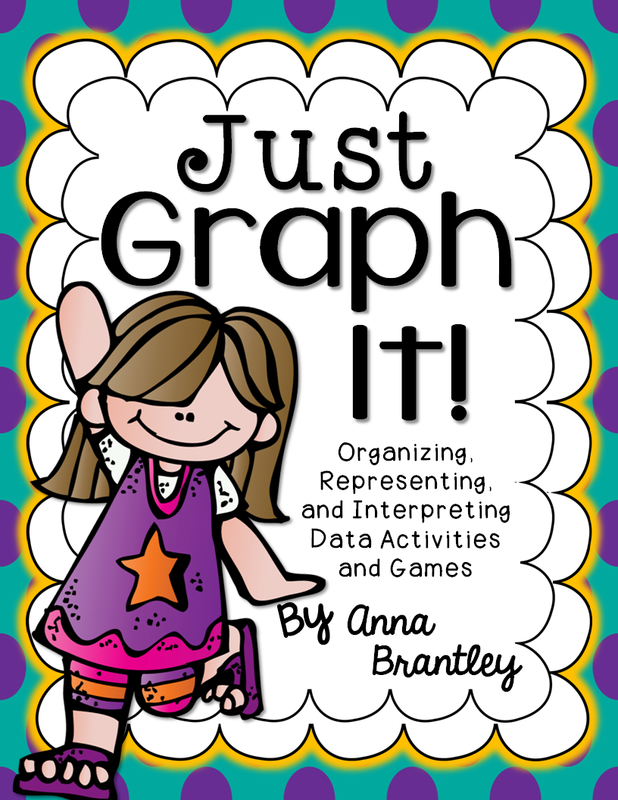 Thank you so much for sharing this lesson and graphic organizer. It was soooooooo helpful!!! I used green tempera paint mixed with the water. It left no green stains on hands :). Just a few drops in a cup of water. I also mixed 2cups cornstarch to one cup water then added more water as needed.